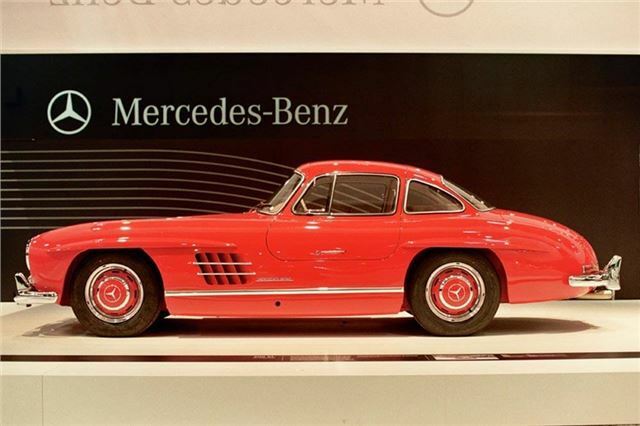 Classic Mercedes-Benz models are proving to be very good investments, according to Historic Automobile Group International (HAGI) that has just released the first ever index to measure the brand’s value progression. The Mercedes-Benz Classic Index (MBCI) gained 11.65% in 2012. Furthermore, a market back-test to 1980 reveals a solid annual average growth rate of nearly 9%. The MBCI, which is supported by Mercedes-Benz Classic (MB's heritage division), is the culmination of the most comprehensive research programme ever conducted into classic Mercedes-Benz value growth. HAGI selected 29 different Mercedes-Benz models to provide the yardstick for market performance. The MBCI uses only authenticated transactions and only vehicles confirmed to be in first-class condition. The value of each model in the database has been charted from the price when new, through the depreciation J-curve and upwards to the present in classic afterlife. Models incorporated into the index range from immortal pre-war models such as the S, SSK and 540K to sports models of the early 1980s. Among rarer prestige models of the 1950s, the legendary 300SL Gullwing and Roadster are a considerable force in the market place. For the 1960s and 1970s index models include the exclusive 280 SE 3.5 coupe and cabriolet, along with the 'Pagoda' SL 230/250/280 sporting convertibles. HAGI has undertaken in-depth research to ensure the index constituents are truly representative of the overall Mercedes-Benz classic portfolio. This process has been conducted entirely independently of Mercedes-Benz, which has had no influence on or input into index design. The MBCI applies the same rules as traditional stock market indexes. To keep abreast of market developments HAGI has created a “watch list” of “Emerging Classics” such as the 300 SEL 6.3, 450 SEL 6.9, 190 Evo II or 500 E. This segment, although not in the index, is being kept under special observation and is being monitored for future development and potential inclusion as the market evolves. The MBCI comprises more than 24,500 vehicles, based on survivor numbers, giving a market index capitalization of more than £4 billion ($6.6 billion). The MBCI is one of five indices created by The Historic Automobile Group International. The others are: the HAGI TOP index, a representative measure of 50 rare classic cars; the HAGI F historic Ferrari index; the HAGI-P historic Porsche index; and the HAGI EX-P & F index, which provides a measure excluding the Porsche and Ferrari components. Indices have been live for more than four years. 'While rarer Mercedes models number among some of the most valuable and desirable cars in the world, our research also shows that the benefits of solid appreciation are also enjoyed by mainstream Mercedes classic models,' said Dietrich Hatlapa, HAGI founder.